Eckoh provided Rentokil with an automated attendance logging solution that enables Rentokil to actively manage non-attendance and to aid compliance with health and safety regulations for independent working staff. 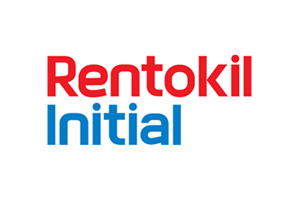 Rentokil Initial provides professional cleaning services to over 6,000 companies in the UK. A significant proportion of their cleaning operatives are classified as independent or lone workers. Managing the attendance of these workers was posing a challenge for Rentokil who needed to devise a solution to manage non-attendance and aid compliance with health and safety regulations for independent working staff. In 2003, Eckoh in association with BT, deployed an automated attendance logging solution which enables Rentokil to actively manage non-attendance and help meet the necessary safety regulations. The automated self-service solution operates on a log in, log off basis with the employee calling into the service on their arrival on-site as well as their departure off-site. Upon receipt of each call, the service automatically applies a real-time stamp which is captured and consolidated into a daily report forwarded to the client. All event messages for a particular period are collated into a formatted report detailing and forwarded by email to the client on a daily basis. At all times, staff have the option to transfer through to a live agent.